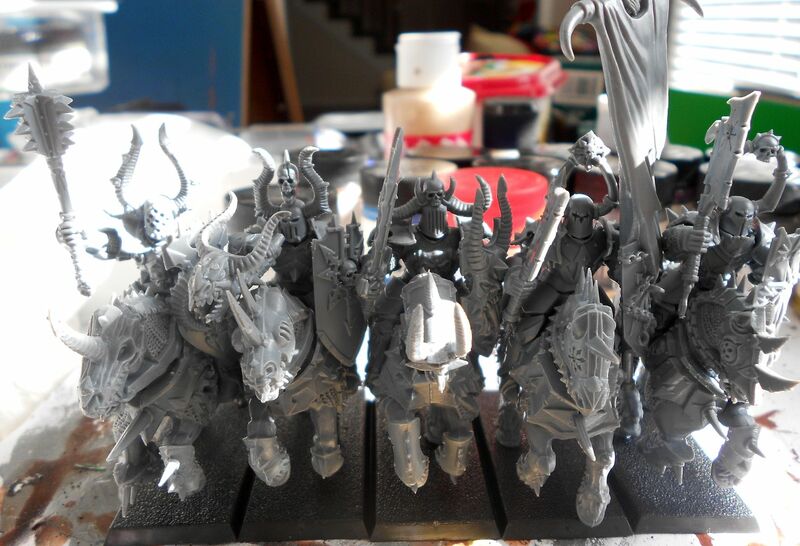 Just some early stage pics of the Chaos Knights I'm working on. These guys will go along with the Chimera to bring the army up to 1000pts. Above, built bare plastic, below basic armor paint slapped on. It's a pretty nice kit. The torsos leave a little to be desired IMO, but the weapons and shields are great, and the horses themselves are fantastic (as are the Marauder Horsemen ones). The heads are OK, but I really like the one on the left. 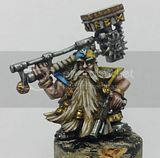 I wish that you could go a little crazier with them with how they're posed, but fantasy ranking makes that impractical, one of the reasons I generally prefer 40K. Even here, with straight builds and no craziness they don't rank up without bumping together. 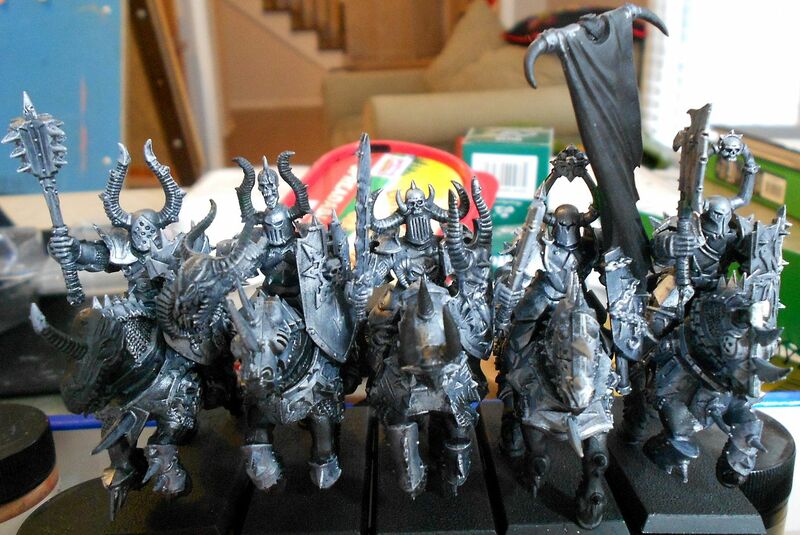 I currently plan to paint them fairly generic to keep them similar to the Chaos Warriors I already have, no all-blue armor or anything like that. The weapons will get some funkiness to represent the ensorcelled weapons, and I might use some reds to tie them in with the warriors. Not sure yet how I want to do the banner. I'm not sure how musicians, banners etc work with 8th ed, but went ahead and built them with full command.